There is growing disquiet in the world of digital marketing about exactly how the impact of major online expenditures should be evaluated. More than ever Marketers are under pressure to ensure their strategies drive measurable growth. It is not enough merely to convince your CEO that your strategies bring value to the company’s EBITDA, you have to convince him or her that the data and analysis you provide emanates from unimpeachable sources and meets best practice standards. The challenge for marketers, therefore, is to identify the facts that matter amidst the plethora of misinformation and misleading data that is increasingly flooding the marketplace. In May, Google product marketing manager Duncan McGrath admitted Google needed to simplify their platform as its capabilities were proving difficult to use effectively. While many marketers breathed a sigh of relief that they were not alone in their struggle to bridge the digital skills gap, CEOs, on the other hand, have lost patience with the claim that the market is too convoluted to provide data of the standard they need. “Marketers are often facing significant legacy issues regarding structure, process, budgeting and performance metrics. We work with our clients to help analyse the opportunities and design the solutions for marketing to improve performance in a demonstrable way”. Sometimes marketers need that injection of extra horsepower, a partner who not only understands the challenges but also can provide the right strategic solutions. Many marketers spend their entire careers working on marketing problems yet always lack the strategy muscle to come up with management solutions that lift their marketing performance. A partnership with TrinityP3 is a fast and effective way of accessing the type of thinking and experience that these solutions demand and of answering yet another sixty-four million dollar question “Am I solving the right business problem?”. Once that question is satisfactorily answered the appropriate TrinityP3 components can be effectively applied. A partnership with TrinityP3 is a fast and effective way of accessing the type of thinking and experience that these solutions demand and of answering yet another sixty-four million dollar question. 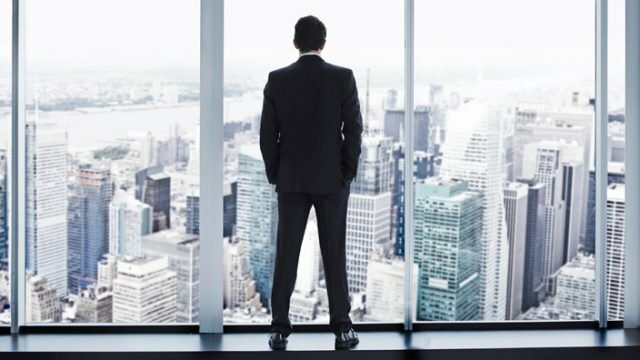 Am I solving the right business problem? Whether your company faces adverse market trends, challenges under-going a digital or technology transformation or the need to effect change in marketing operations and performance, TrinityP3 can help. 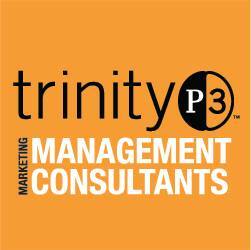 TrinityP3 invites you to take up the offer of a free consultative session to promote greater understanding of how their five components can produce solutions for any number of your marketing challenges.